When most people consider condo living, they imagine it being the ideal situation for young professionals or retired couples. However, condos aren’t just suitable for singles and smaller families. They can also be a great option for parents and children because they’re often in good locations and are quite budget friendly. Since condo living is a little different from living in a single-family dwelling, there are a few things parents need to carefully consider before purchasing a condo. The downtown San Diego real estate experts at 92101 Urban Living offer these tips for parents searching for a home that’s perfect for the whole family. If you want the ideal kid-friendly home, you’ll probably need to plan for things like installing built-in shelves, replacing carpet with easy-to-clean tile, or adding tubs for bath time. 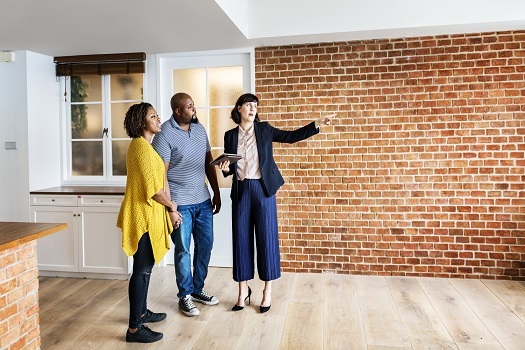 Because renovations are so likely, spend some time learning about community construction policies for any potential home. Find out if you’ll need to get a lot of permits or only use certain contractors when you want to make changes. If you have young children, skip the higher floors and search for condos with units on the ground floor. Younger children invariably end up running around with a lot of energy, which could lead to some conflict if you have people living below you. In addition to reducing the chance of having a noise complaint, a ground floor unit is also good because it means you don’t have to struggle to navigate stairways with strollers, diaper bags, or your children. Almost any condo you find tends to be in a fun urban location with plenty of shops, bars, and restaurants nearby. However, you need to pay a little extra attention to location when you have kids. Condos near parks and playgrounds give your kids a chance to burn off a little steam, and locations near children’s clubs or organizations allow your kids the opportunity to socialize with their peers. Open floor plans are so trendy that almost all condos have them, but as children grow up, it’s natural for them to want their own unique spaces. If you plan on living in the condo through you children’s teen years, try to find one with extra bathrooms, living rooms, or playrooms. This option can be surprisingly affordable, since single people are often willing to pay premium prices for open-concept condos. Living in a condo can be very enriching for children because they can end up with close friends and supportive mentors living right next door. If possible, try to attend a few condo meetings or chat with neighbors to see what the community is like. Check for condos that frequently have swimming clubs, game tournaments, or other fun meetups your children might enjoy. Parents have a lot of fantastic options when it comes to finding their ideal family-friendly condo. If you need help choosing among the wide variety of amazing downtown San Diego condos for sale, call on the professionals at 92101 Urban Living. We’ll help you find the home that’s just right for you and your family. Give us a call today at 619-649-0368.